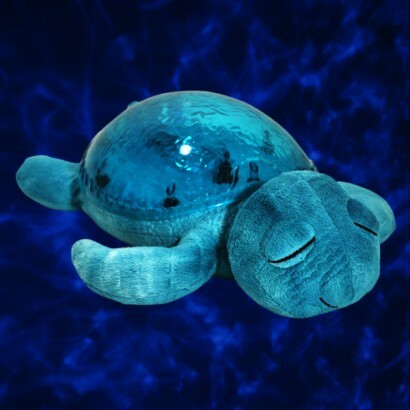 From the makers of the Twilight Turtle, this lovely little Turtle projects a mesmerising water effect onto your ceilings and walls. 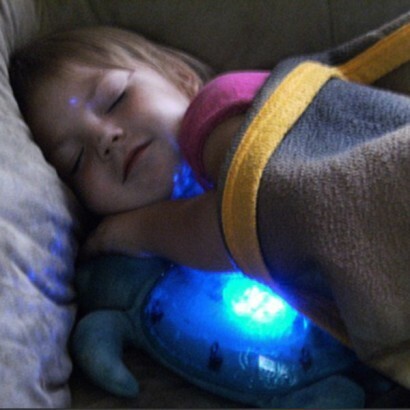 A lovely plush nightlight that little ones can cuddle up to, the projection is dimmable and it has two soothing ocean sounds that are optional. His shell glows a beautiful aquamarine colour and has an auto shut-off sleep timer after twenty-three minutes. 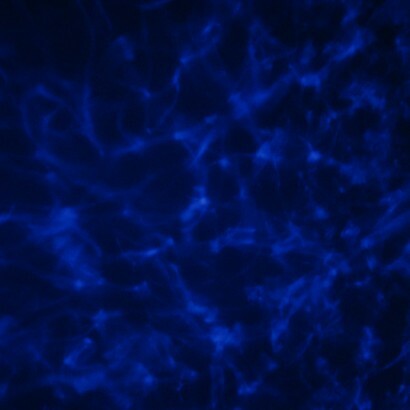 The watery images can be set to move like the gentle ripples of the sea or kept static, the effect is truly stunning and because he's battery operated kids can take him with them everywhere they go, which means this charming little night light is great for holidays, sleepovers, camping trips etc. Tranquil turtle is an excellent product, I would definitely recommend it. I would also recommend this company, I had absolutely no problems with the transaction, I was kept well informed as the order was progressing through to dispatch and I received delivery very quickly. Lovely, calming sleep aid for children (and adults!) Bought one for my Grandson's 1st birthday and he loves it, and so did my other grandchildren, so bought another for my granddaughter's 1st. Very pleased with service, delivery and price. I received very quick and helpful responses to my queries, made via Glow Co website contact. Highly recommended. Amazing product, works wonders with my daughter, very peaceful and calming. Very quick delivery no problems placing order or reciving product.